Forget roses, wine and chocolates. Treat the one you love to some beautiful silver jewellery this Valentine’s for a gift that’s truly special. You can't go wrong with a classic heart for the one you love this Valentine's. With pretty pendants, necklaces, earrings and rings available there is something for everyone, whatever their style. Spell out just how much you love someone this season with one of our classic and sophisticated sterling silver letter pendants for only £12.99. 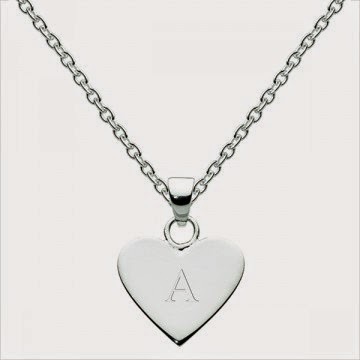 Letter's A, C, E, J, K, L, M and S are available and chain's are sold seperately in store and online. 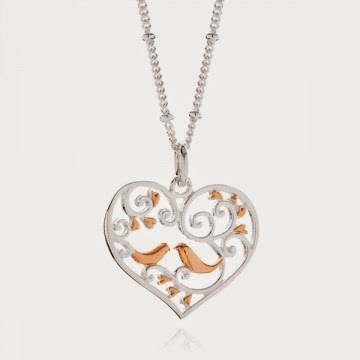 Give someone double the love with this sterling silver large and small heart pendant priced at £28. 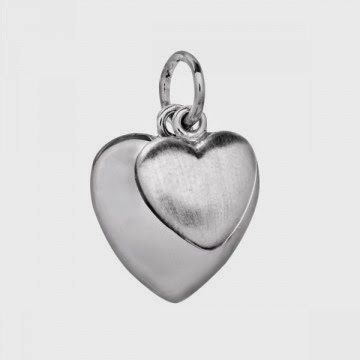 The large heart is highly polished and the small heart has a brushed satin finish for a piece that's truly beautiful. Chains sold seperately. 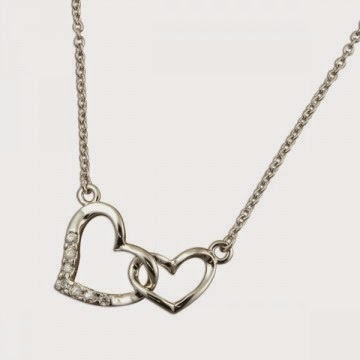 If the one you're buying for loves a bit of sparkle then this sterling silver and cubic zirconia double heart, 16 inch necklace is a great choice. It's a great price at £32 for a pretty piece that looks great dressed down for day or dressed up for that special occasion. Show your sweetheart just how much you care for them with our beautiful sterling silver and gold plated sweetheart lovebirds necklace. This delicate piece includes the 18 inch chain and is priced at just £42. 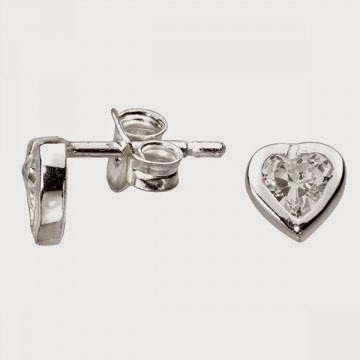 A pair of dainty sterling silver and cubic zirconia heart studs is a jewellery staple that everyone will always love. You'll love the price too as they're a steal at £7.99. 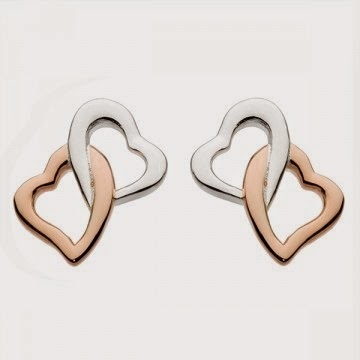 If you need to buy for a trend setter go for these sterling silver and rose gold plated heart studs, priced at £14.99. 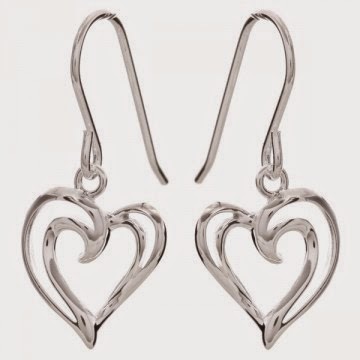 For a modern and stylish look for a lover of dangly drop earrings then these sterling silver earrings at £24.99 are a great choice. 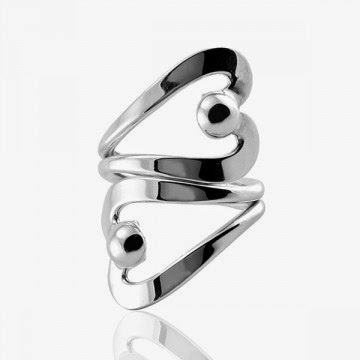 Midi rings are a popular choice for the fashion lover and this sterling silver heart ring is a popular choice too, at only £5.99. 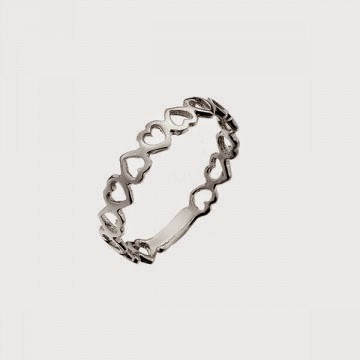 For someone who loves a bold statement piece of jewellery then treat them to this stunning sterling silver chunky double heart ring priced at only £28. 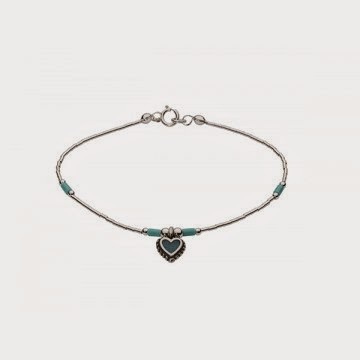 If you're buying for a boho babe then they're sure to adore this sterling silver and turquoise heart charm bracelet which is a steal at just £14.99. 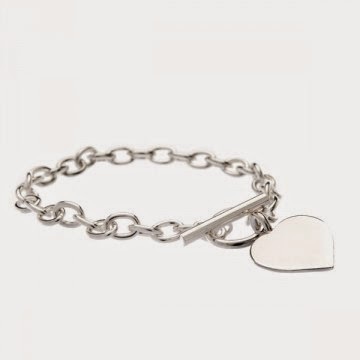 Romantics out there will know this classic sterling silver t-bar heart bracelet can't be beaten as a gift for the one you love. Priced at £60. 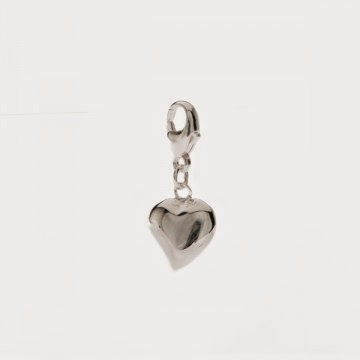 Charm the one you love this Valentine's Day with this sterling silver clip on heart charm priced at only £8.99. 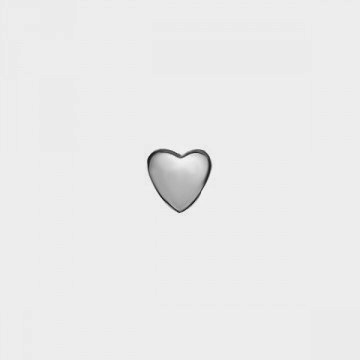 A little heart goes a long way with this sterling silver heart bead from Lovelinks. Priced at £19.95 this bead fits on various charm bead bracelets* or you can buy a Lovelinks bracelet to pop it on in store or online. 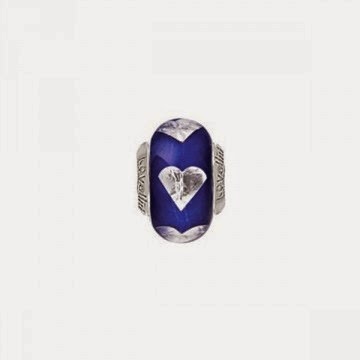 To add a bit of colour to your love life this Lovelinks sterling sterling and murano glass bead is available at only £24.95. All jewellery is available online or in store subject to availability. *Please check our website or feel free to give one of our stores a call for more information.